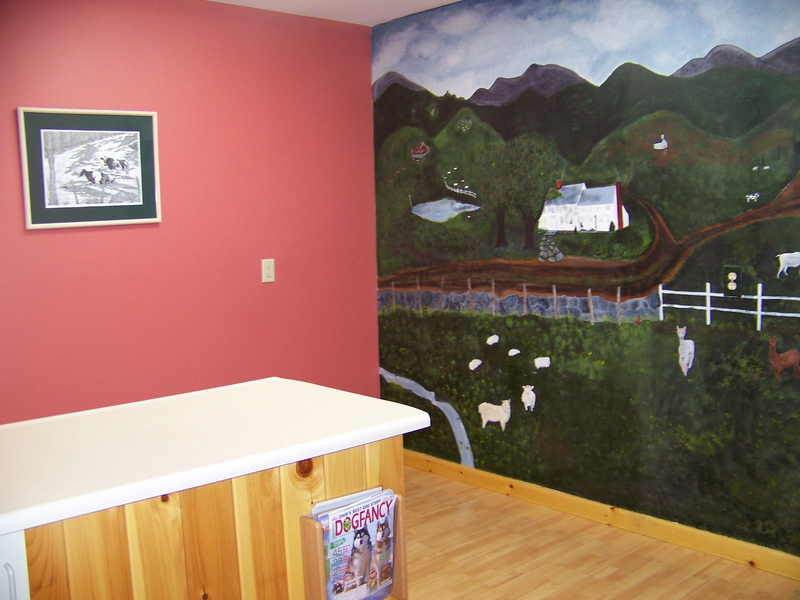 Welcome to the Barn Room featuring a full wall mural of a local farm scene. 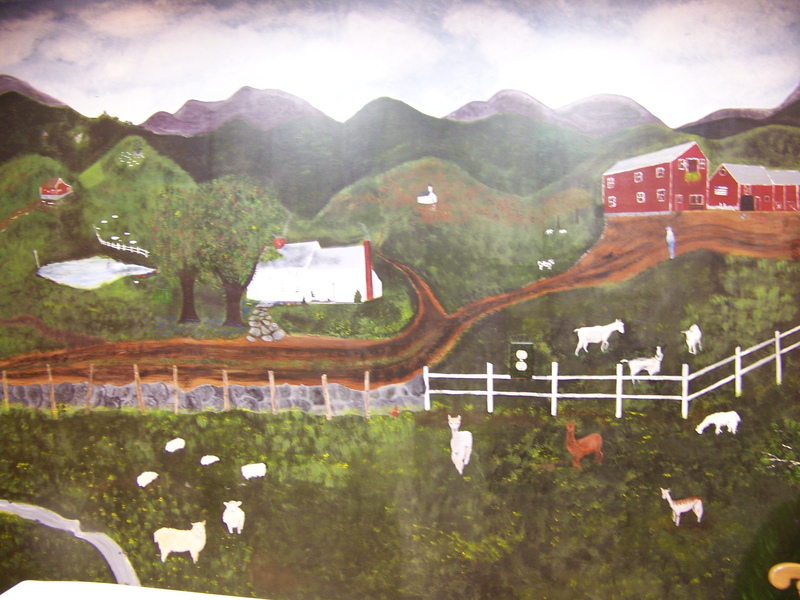 Alpacas and llamas have become an important and interesting aspect of the veterinary care we provide at Borador and our first alpaca farm is the model for this mural. This is also Dr. Menard's favorite room in the hospital and she often uses this room to perform acupuncture for her small animal patients.